With that summer sun shining, clients will want nothing more than a tall glass of something cold. Now they can turn their beverages into a talking piece or decorative detail with these trendy drink accessories — from patterned coasters to bright straws. 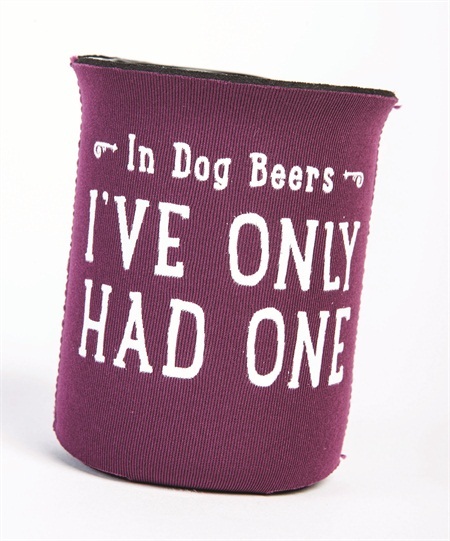 Draft House beer cozies feature light-hearted screen-printed phrases like “In Dog Beers I’ve Only Had One” and “Just What the Doctor Ordered.” The cozies are made from foam and fit all 12-oz. cans and bottles. Buyers can select from an array of colors and upgrade to neoprene material if desired. Custom messages or branding are available. 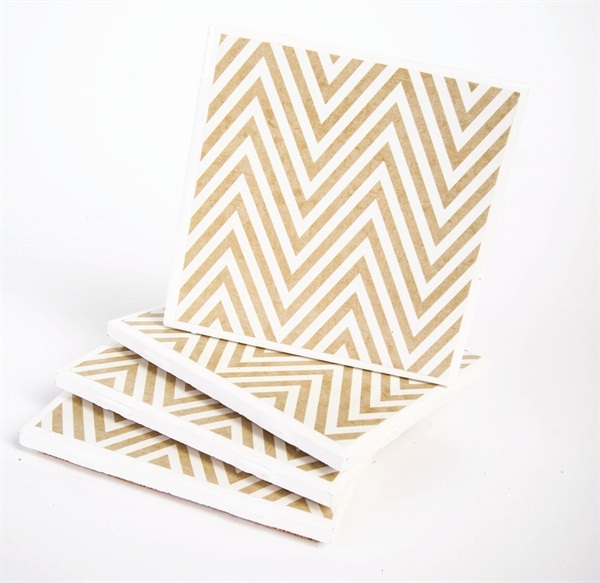 Heather Borer Designs’ trendy tile coaster is the perfect companion to any cool drink. Purchasable in sets of four, the tiles come in a variety of on-point prints ranging from chevron to paisley to herringbone. The undersides are fully covered in cork to protect the coaster as well as the furniture they sit on. The entire product is sealed with a water-resistant solution. 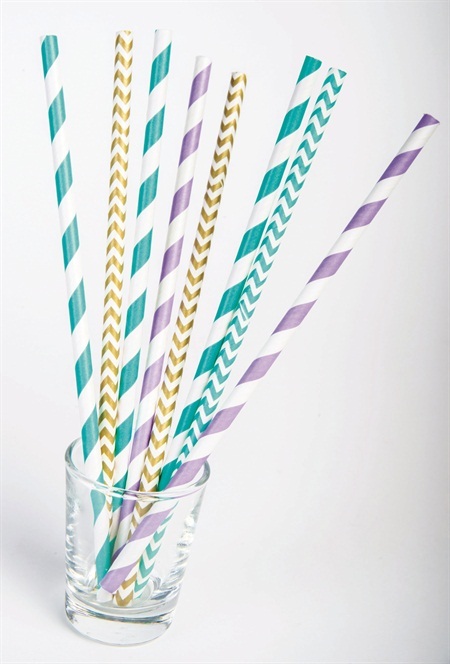 Talking Twine and Trim’s fun FDA-approved paper straws will make any drink look tempting without going soggy. Chevrons and stripes are featured here, but the store has 79 different colors and patterns to choose from. 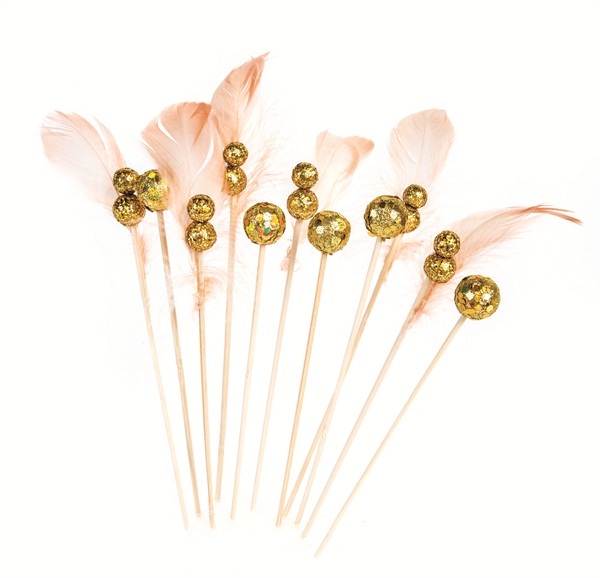 Chasing Bliss Design’s drink stirrers will jazz up any cold beverage — from lemonade to a Long Island iced tea. Made to fit glasses of varying heights, they feature a festive and shiny arrangement sitting atop durable bamboo sticks. Choose from over 30 designs — made from tulle, sequins, tinsel, and other fun materials — packaged in sets of 24. Custom orders are available. Cork Pops’ Arctic Chill shot glasses are useful to have around on those hot summer days. Deliver ice-cold shots in seconds without actual ice. 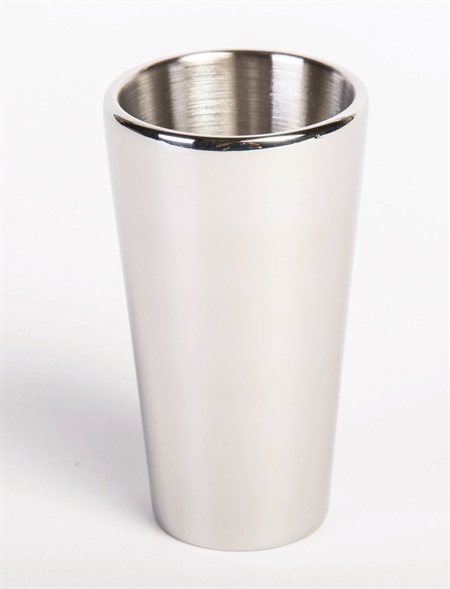 The food-grade stainless steel glasses come in a set of two and their double sidewalls are liquid-filled with freezer gel. The glasses take approximately four hours to chill completely and can be stored in the freezer.